now the people are ready to lent major source of resources for constructing their dream home. proper and good design is significant for creating elegant house. Kerala model home designers are ready to make beautiful home design. you can make good discussion with the engineer so as to make most effective design within affordable budget. 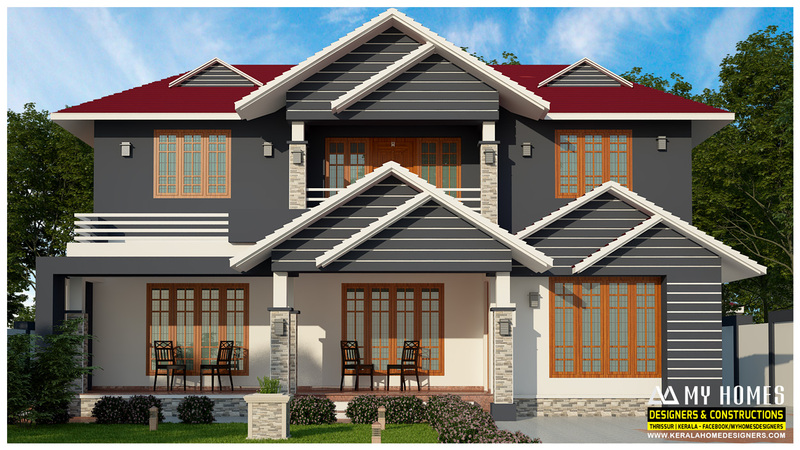 Kerala model home designs helps you to find most effective one. see this layout it is an elegant design of multi floor house. total sq.ft of the house is 2700. the house can offer full fledged facilities to you. in the ground floor of the house is sit out. living area and dining hall. proper space is allotted for the drawing room and dining room. bedroom with attached bathroom with dressing area.there is beautiful wash area and common toilet. in the first floor of the house there is three bedroom with attached tiolet and open terrace.